Did you know that the percentage of people who drink soft drinks has decreased by 20% since 2008? There is a reason for that – people today are educating themselves and taking an active role in their health. We all know that the sugar, the artificial sweetener, the acidity and the caffeine are harmful. If these facts alone did not convince you to join the 20% that have already dropped soft drinks from their daily diet, I’m guessing the following facts will. High fructose corn syrup or “corn sugar.” Read Dr. Mark Hyman’s blog to find out more about the dangers of HFCS. 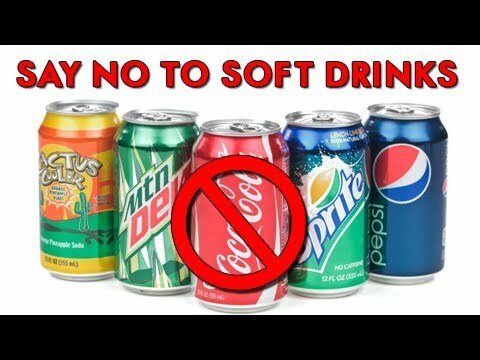 Soft drinks derive most of its calories from cane sugar or high fructose corn syrup. The USDA recommended daily allotment of added sugars is 10 teaspoons for a 2,000 calorie diet. One soft drink can exceed this allotment. Soft drinks may contain food additives such as food coloring, artificial flavoring, and preservatives. Some contain bromide, which is toxic and carcinogenic in some cases. A large number of soft drinks are highly acidic, some having a pH of 3 or even lower. Drinking acidic soft drinks over a period can erode the tooth enamel. Soda with caffeine can disrupt children’s sleep and leave them tired during the day. Phosphoric acid. Soft drinks have phosphoric acid, which can displace calcium from the bones dramatically lowering bone density. Type 2 diabetes. People who consume soft drinks regularly, 1 to 2 cans a day or more, have a 26% greater risk of developing type 2 diabetes than people who rarely have such drinks. Heart Attack. A study that followed 40,000 men for two decades found that those who averaged one can of a sugary beverage per day had a 20% higher risk of having a heart attack or dying from a heart attack than men who rarely consumed these drinks. The Nurses’ Health Study, which tracked the health of nearly 90,000 women over two decades, found that women who drank more than two servings of soft drinks each day had a 40% higher risk of heart attacks or death from heart disease than women who rarely drank the soft drinks. Less Water. Soft drinks do not replace the amount of water you should drink every day (about ½ your body weight in ounces). Unless you want to spend the day in the bathroom, you can’t really drink both. Some of us convince ourselves that diet soft drinks are safe. No such luck! Artificial sweeteners do not help people lose weight or prevent sugar-related diseases like metabolic syndrome, and diabetes. There is an association between diet soda and depression. In a study of 263,925 adults aged 51-70, people who drank the diet soda were 30% more likely to be diagnosed with depression over a period of 10 years. The link to depression was stronger for diet soft drinks than regular soft drinks. Pre-term Delivery. Diet soft drinks are also associated with pre-term delivery. In a study of 59,334 pregnant women in Denmark, 1 serving per day of a diet soft drink relates to a 38% increased risk of pre-term delivery. 4 servings per day increased the risk by 78%. Type 2 Diabetes. Diet soft drinks have also been shown to increase the risk of type 2 diabetes. A study of 6,814 people aged 45-85 years demonstrated that daily consumption of diet soft drinks relates to a 67% increased risk of type 2 diabetes. Fresh squeezed juice – watch for the amount of added sugar or high fructose corn syrup. Almond milk, coconut milk, or rice milk (unsweetened). Eliminating soft drinks from your diet is a simple step you can take today to take back control of your health, or your child’s health.